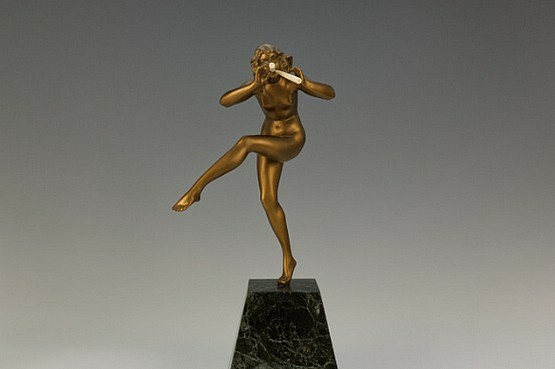 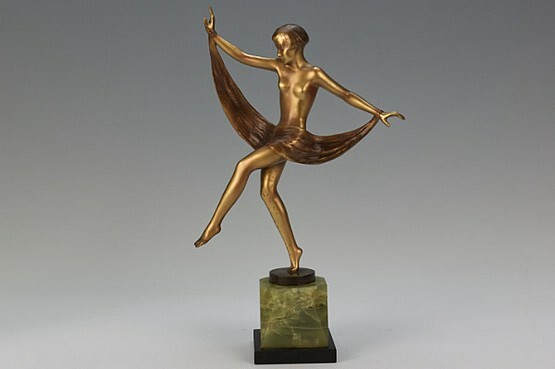 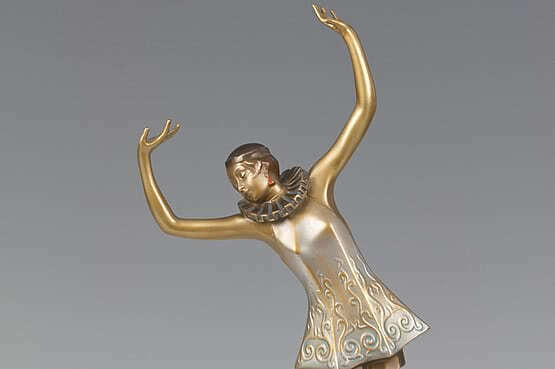 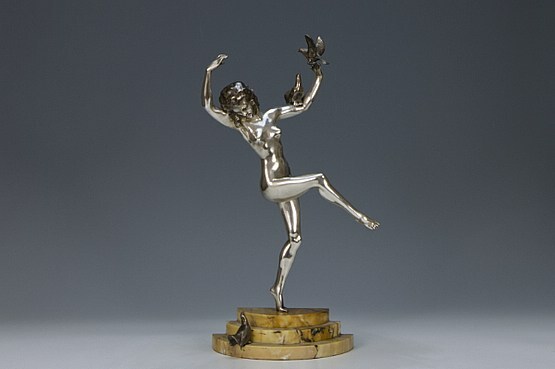 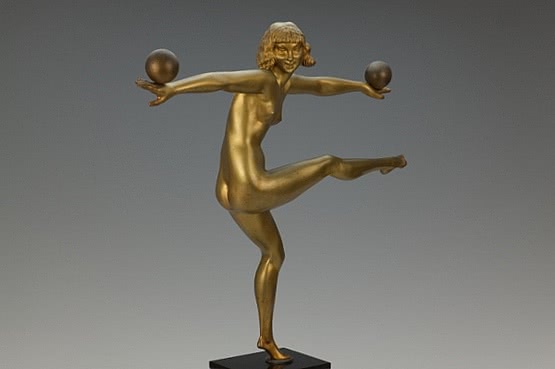 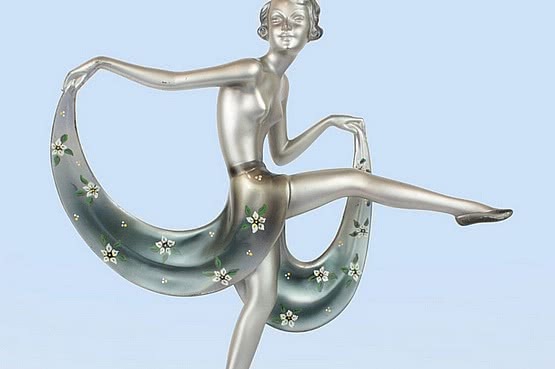 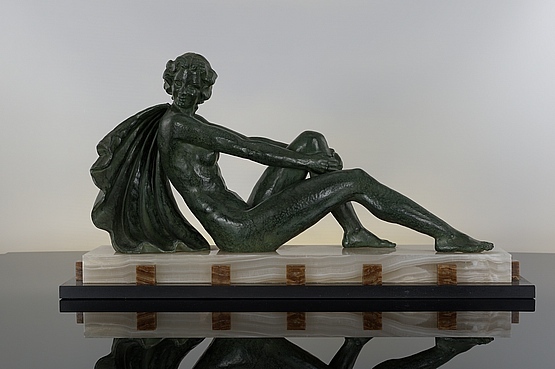 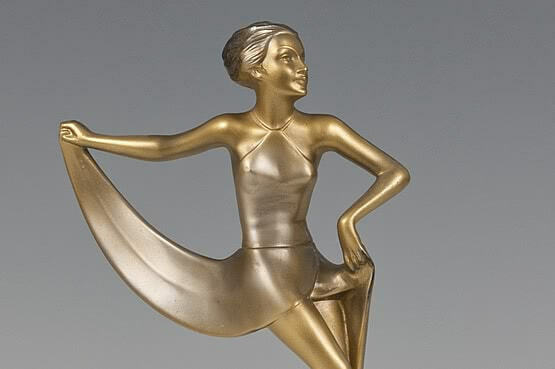 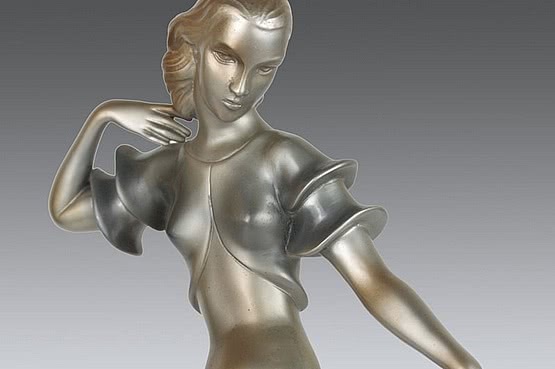 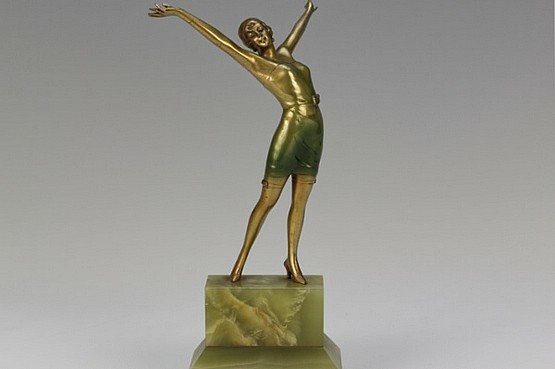 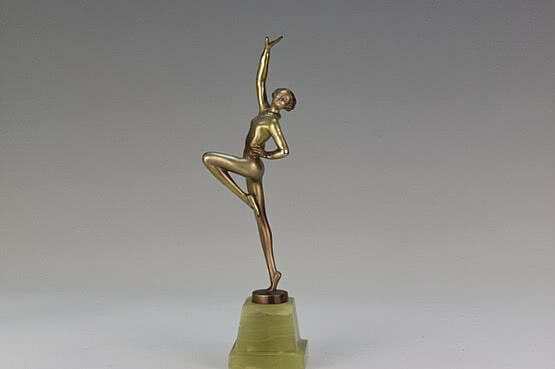 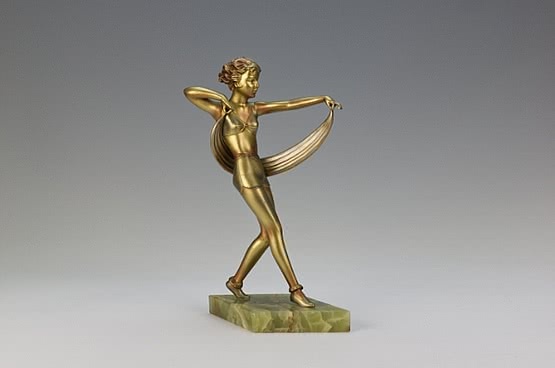 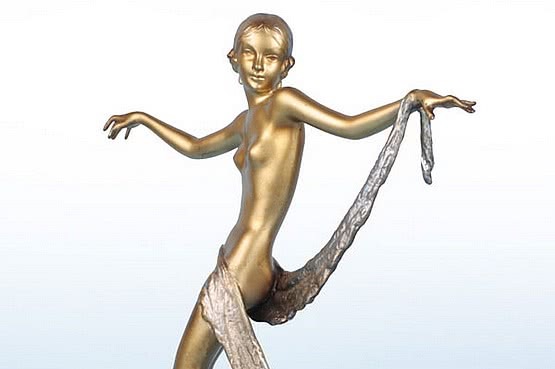 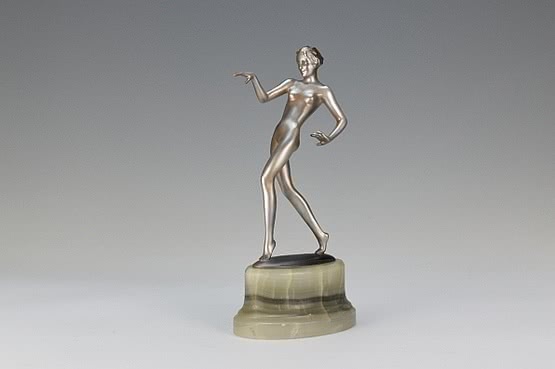 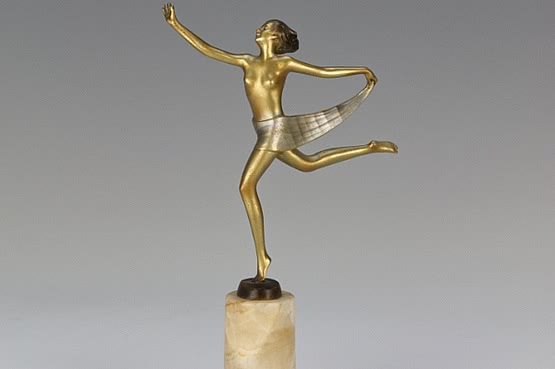 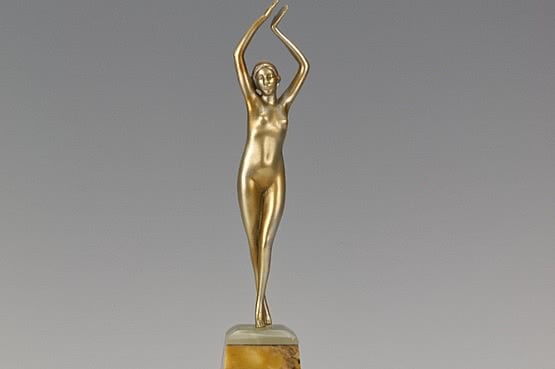 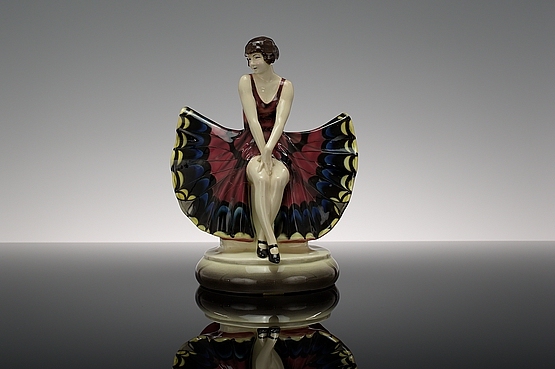 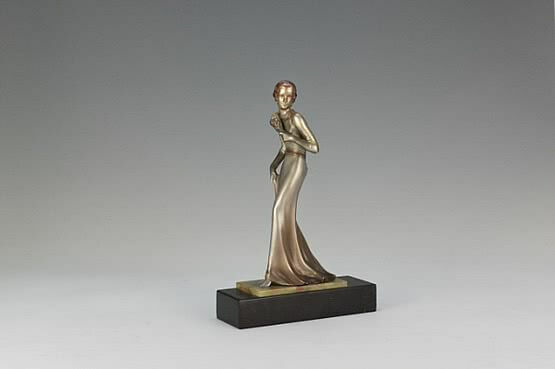 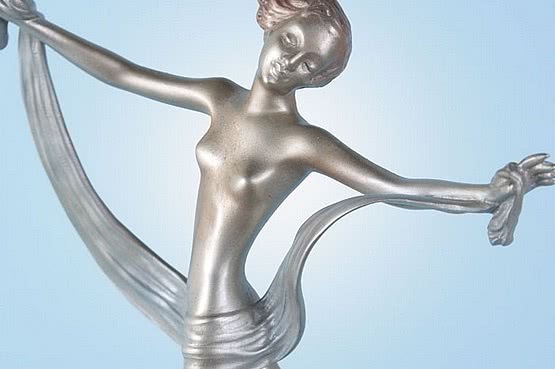 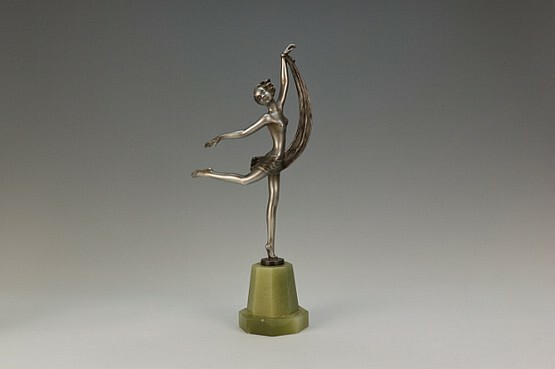 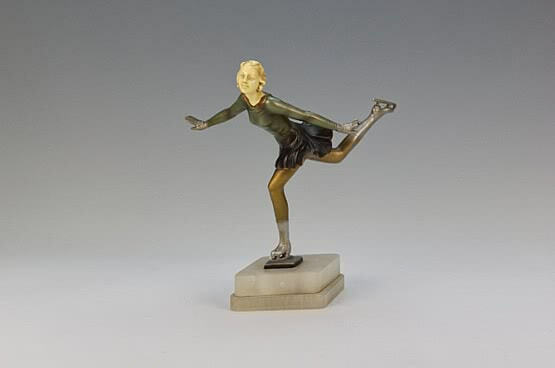 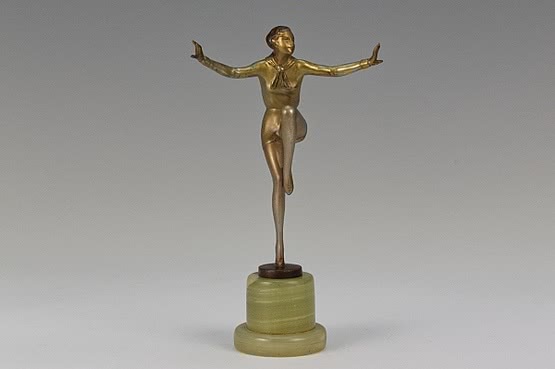 Art Deco bronze figurines are small-scale statues produced for home decoration in the 1920s and 30s (and originally for sale in jewellers and department stores) that perfectly capture the spirit of the age. 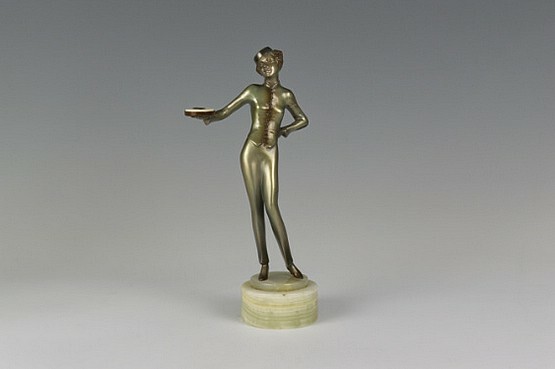 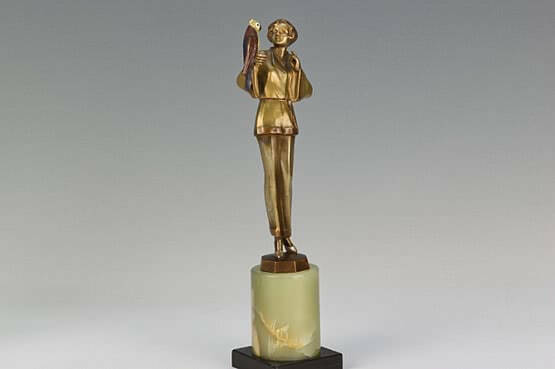 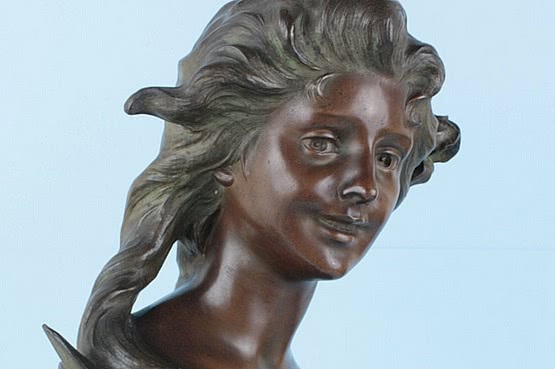 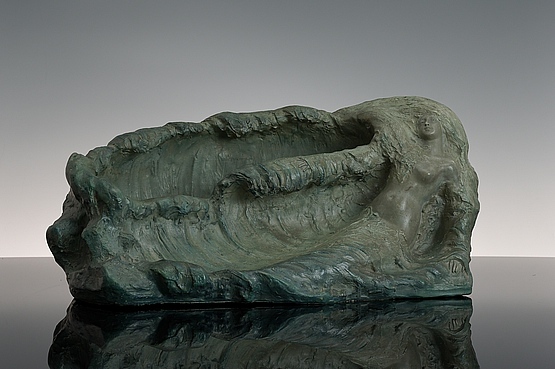 This romanticised time of luxurious transatlantic ocean liner palaces such as the SS Normandie and RMS Queen Mary, cocktails and flappers, wild jazz music, Hollywood and divine decadence was captured in bronze (with ivory) and spelter sculptures by now famous sculptors such as Demetre Chiparus, Ferdinand Preiss, Josef Lorenzl and Claire Colinet taking their inspiration from the dancers, cabaret performers, movie stars and fashion in Hollywood, Paris and Berlin at that time. 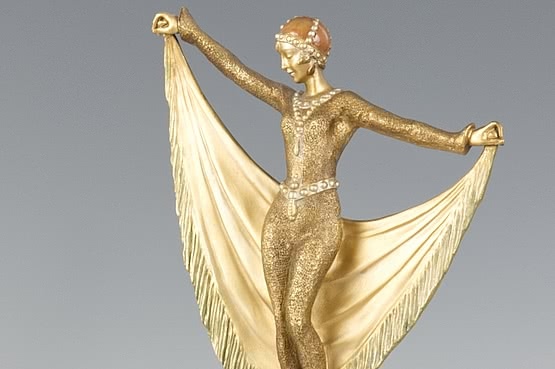 Silent footage of bathing costumes from 1929 can be seen here. 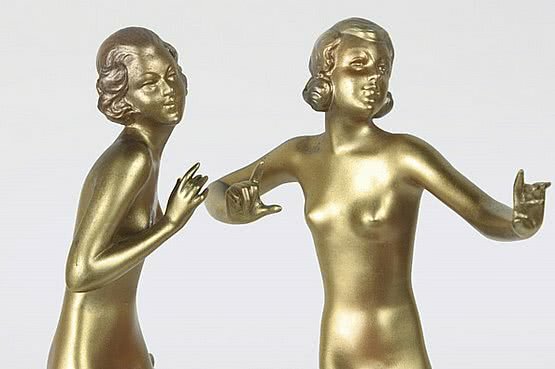 With their works now being sold in major auction houses throughout the world, and many collectors of the style eager to own figures that appear to be "frozen in time", there is no doubt that nearly one hundred years after the artists designed these little works of art these exotic ladies will continue strutting, posing and dancing their way through the 21st Century and beyond!